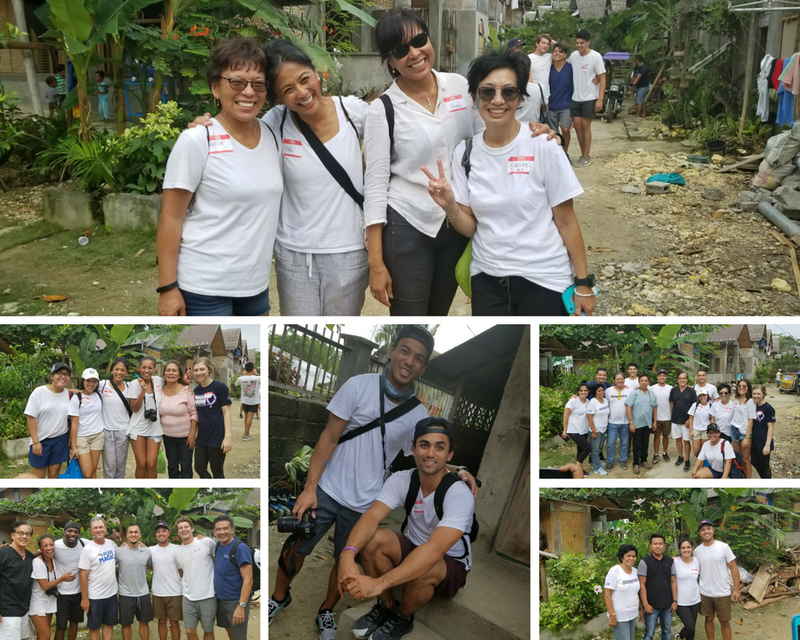 As I reflect on the first half of the year, the one experience that always comes to mind is our family mission trip to Boracay, Philippines. Ten years ago, Auntie Grace and Uncle Marvin had started a mission in hopes that it would help give the Ati Village, the indigenous tribe of Boracay, a bigger and brighter future. They had led much smaller groups in the past up until this recent Christmas and New Years. They made it a family affair with about 50 of us relatives from all over the country from California, Oregon and Washington to Texas and Florida. What seemed like a daunting task to get all families together for 2 weeks ended up being the most magical and memorable experience of our lives because we were able to serve others as faithful stewards and enjoy it together as one big family. The morning of December 29th (my 33rd birthday), my husband Rendle and I woke up early enough to see the sunrise. Walking along the beach, so quiet and serene, we were just so thankful to be in such a beautiful place God created with the best company ever...FAMILY! We all gathered for breakfast to prepare for a big day ahead of us. Afterwards, Auntie Grace had read off where everyone was to serve on the Kamay Team. We had teams for administration, gospel & ministry outreach, basketball outreach, dental care, medical care, pharmacy, school building/construction and photography. We each had a hand in serving the village...a gift that we have received to serve others, as faithful stewards of God’s grace in its various forms [1 Peter 4:10]. As a family, we used our hands to meet, welcome and communicate. We used our hands to take blood pressure readings, to provide dental exams & extract teeth and to provide reading glasses. We used our hands to make heart, fish, sword/cross balloons using symbols of the gospel to share the story of Jesus. We distributed prescriptions for antibiotics and vitamins as well as toiletries and dental supplies. We played basketball and painted the schoolrooms to prepare for the upcoming school year. We prepared a New Years Eve Kamayan meal for the village! With our hands, we met the needs of the Ati Village and look to continue this mission. Serving the Ati Village allowed us to discover and develop our gifts. It allowed us to experience magical moments. It allowed us to feel joy and happiness. Serving the Ati village was the best distraction from our own worries back home, worries that now seem so much smaller or things to not even worry about at all. Serving allowed us to experience God’s presence in a whole new way. Our intention was to help affect the lives of this Ati community, but in all actuality it changed ours...it changed MY life! On tired days or when the odds are stacked against me, I think of the children from the Ati Village. They inspire me to keep pushing forward because I want to continue to help contribute to a brighter future for them and to show them that you can do anything you can put your mind to - DREAM BIG! They are a great reminder to embrace the small things in life, smile BIGGER, laugh LOUDER, live SIMPLY, love HARDER and to never take life for granted.